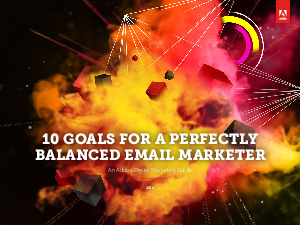 Download our guide, 10 Goals for a Perfectly Balanced Email Marketer, to learn how you can transform your email campaigns through personal goals. You’ll discover new ways to make the most of this highly effective channel — so you can enjoy better results. Simply fill out the form to download the guide.